Marty Mcfly landed on this exact week in Back to the Future, Part II. But where is my hoverboard? 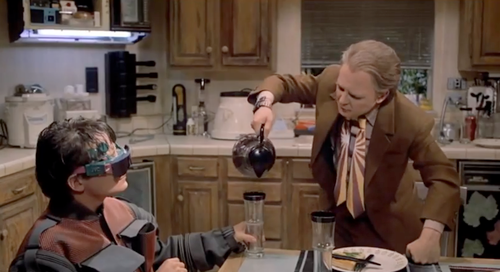 When Back to the Future, Part II first opened in 1985, we were blown away with all of the futuristic gadgets we thought would all be a part of our daily lives by now. Even though technology IS an integral part of our daily lives, many of the devices imagined have yet to come into fruition. MarketResearchReports. Biz expects over $100 billion will be spent on wearable tech in the coming decade, but right now the market is still fluctuating and constantly maturing. Wearables are already well-represented in the fitness industry, but we have only barely scratched the surface when it comes to healthcare. Soon, embedded biometrics and sensors will be able to continuously provide data of your health performance, so doctors and physicians will always be able to monitor and make decisions based on updated information. One of the biggest trends in wearable tech is pregnancy and baby-monitoring devices. These are often embedded with sensors to provide at-home monitoring solutions for prenatal moms or their newborn babies. For example, Owlet developed a special wearable sock for sleeping babies to monitor heart rate, oxygen and more. The data collected is then sent to the cloud and can be monitored from any internet-connected device, including your doctor! In an age where the battle for privacy and security is becoming increasingly vital, wearable tech is adding a new layer of protection to vulnerable junctures of our everyday lives. When information from your wearable tech devices goes to the cloud, it is at risk to become a major target for hackers. Silent pocket, for example, created a series of leather wallets, sleeves, and bags with embedded shielding technology which allows users to isolate their devices from hackers. 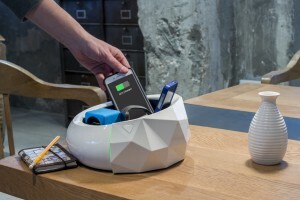 It blocks out all wireless signals in order to preserve your privacy, security, and identity. One of the key trends of the future will be the integration of wearable tech and fashion (and yes, that will include the self-lacing sneakers from Back to the Future). Now designers are racing to create apparel and accessories that can do everything from monitor your heart rate to change colors depending on your mood or even recharge your phone! 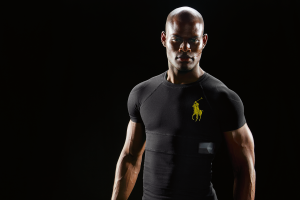 Ralph Lauren recently released a ‘PoloTech’ tshirt that integrates with an accompanying iPhone app in order to analyze live biometrics, adaptive workouts, and more. At the present, the shirts are more for fitness than everyday life, but Ralph Lauren says that’s all about to change. Other integrated wearables will include clothing with the ability to control your body temperature, built-in navigation systems, and even clothing that moves in waves with special eye-tracking technology. One of the main issues to wearable device world is the idea of having to constantly charge all of these devices. Nothing is more annoying than do go for a bike ride or a jog, only to realize you haven’t charged your Fitbit! With wireless charging, you can have a non-invasive charging experience by designing a charging station that fits to your daily routine. So you can charge without even noticing. 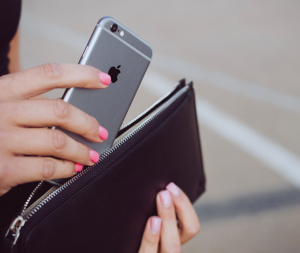 It can be as easy as placing a device in a bowl, or anything you want it to be.